There’s only one appropriate question to ask after watching the latest craze: are they out of their minds? The creativity of bored Arabic petrolheads has no limits, it seems. So far they have grated on our nerves with videos of youngsters sliding on the asphalt wearing slippers, fools drifting Camrys, and yobs driving SUVs on two wheels, to name but a few. 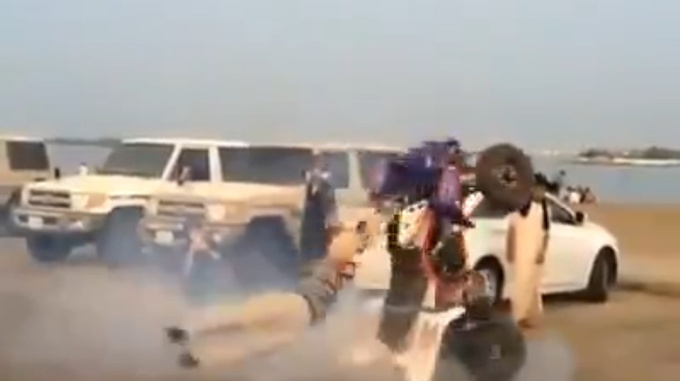 Today’s video shows yet another totally unexpected stunt, this time executed on a quad: a merry-go-round in the desert.